Be known as the local advocate for using good bugs to get the bad ones. 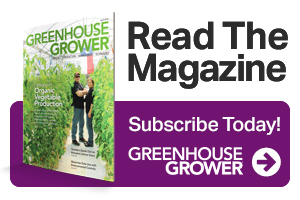 Thiel’s Greenhouses in Alberta, Canada, is a seasonal ornamental producer for the retail and wholesale markets. Our production focus is integrating a strong integrated pest management (IPM) program using biocontrol as our first and main line of defense. This is true in both our new fresh greens hydroponic venture and in the day-to-day business culture. Good bugs are cool, and we shout it out at every opportunity and to whoever will listen! Our 1-acre facility has been in the community for more than 50 years. In 2010, wanting a new career direction, I bought the business from the original owners and ventured into the greenhouse industry as an owner/grower. Two things were evident from the outset. One: I knew almost nothing about being a greenhouser other than my passion for horticulture and being immersed in agriculture my entire life. Therefore, it made it easy to come into the industry with zero pre-conceived ideas. Like a newbie, only much older. I was ready to learn from industry experts and implement my knowledge to affect change. Two: I knew I wanted to grow using new, updated methods and best practices. Researching biocontrol was a priority on my to-do list. The first step I took was to call biocontrol product companies. Finally, I got one company representative to come out for a visit to dole out some advice and help me get started. Progress! Fast forward several years and now Thiel’s has an IPM program that is clearly defined. In that same timeframe, we also added a media campaign that focuses on social interaction and direct contact with the end consumer. As I began to teach my audience, my own skills and confidence grew in terms of implementing my program. I started to relay more information, and every time I talked about bios, the engagement from customers would soar. Plants are cool and interesting, but bugs? They are different, helpful, and cool. Customers love the message. Contact a reliable and reputable biocontrol supplier. Develop a rapport with your product specialist and then trust them. If you are putting information out to the world, then have someone who can answer your questions so it’s the right information. If you are hesitating to start a biocontrol program, just start somewhere. Pick one pest to control and go for it. You can worry about scaling later. There’s experts out there, so ask for some advice and jump right in. Ensure you have dedicated staff to implement your program. Scouting and proper distribution are critical to success. Train yourself, then train your team. There is nothing better than having everyone in your building walking around with a lens on a lanyard, checking for pests, and helping with the success of your IPM program. It engages your team, and they, in turn, share their new knowledge with their world. Host events and classes, present information at every opportunity you can. From the community to the industry, always highlight your biocontrol focus. Even if it’s a short blurb during a do-it-yourself class. Talk about it, and share it on social media, too. Be stubborn. Don’t give up on the program after a challenge or two. If you know it’s a sound practice and has value, then it’s worth it. We adopted the state of mind that it was going to work and that the old methods of chemical application were just that — old school. They were ready for change and on the way out. In this, being stubborn is a good thing. Your brand is how the consumer recognizes you. What kind of emotions and thoughts are evoked when they think of your company, services, or products? It includes your logo and colors, but it is also so much more. It is the overall feeling and experience that differentiates you in a sea of similar businesses. Make it count. Add your biocontrol message to everything you send out to the public. Be known as the local advocate for using good bugs to get the bad ones. Develop the lingo and text you want to use in your business culture and be consistent. Hashtags such as #biocontrol #IPM #growclean, and #goodbugs could be part of your brand and help create consumer awareness and recognition. Biocontrol is hot right now. Healthful living and wellness are important right now, and they all tie together in your customers’ eyes, so start talking it up. Educate and excite your customers by increasing awareness of your IPM strategy to set apart your business. 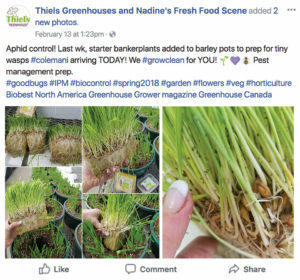 Sharing your unique grow-it message is on trend, and you can ensure top-of-mind awareness by adding biocontrol methods to your greenhouse story on social media and beyond. Like many green industry operations, I can communicate directly with the end consumer. They are making buying decisions based on what excites them, what speaks to them, and what moves them. They only have so many plant dollars, and they want to spend them somewhere. If I can be the one educating them about my production methods, which will eventually be the industry standard, then I can be considered as one of the businesses leading progress, not one who is reluctantly dragged into it. It differentiates my business and provides another reason to make the drive out into the country to my little piece of the earth. Remember: You may know the benefits of using bios. To a grower/owner, it seems obvious, but is it obvious to your audience? Spell it out. Tell your story. 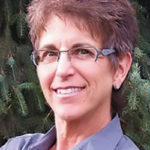 Nadine Stielow ([email protected]) is owner of Thiel’s Greenhouses in Bruderheim, AB, Canada. Follow her on Twitter (twitter.com/ThielsGH), Facebook (Thiels Greenhouses), and Instagram (Thiels Greenhouses) and be sure to check out her Nadine’s Scenes Grow iT Eat iT Live iT channel on YouTube. See all author stories here.